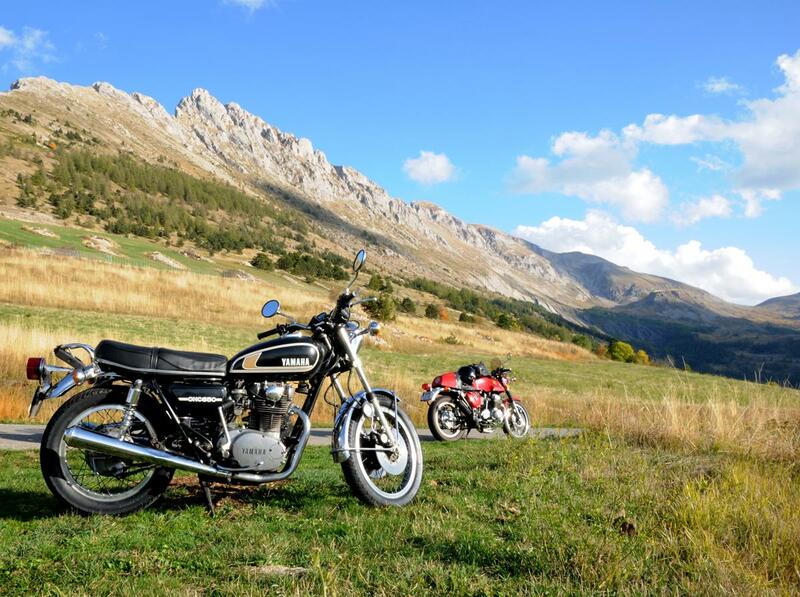 Installed in the Hautes-Alpes, near the National Park of Ecrins, Alpes Moto Classic proposes you rides accompanied in "classic" motorcycles, from May 1st till October 31st. You can choose your motorcycle among our fleet as well as your route. Our accompanied rides wind edges of Méditerrannée, Provence, Pre-Alps up to the doors of Savoy. These rides can last one or several days, according to the chosen route and your availability. A ride will be organized with a minimum of 2 motorcycles, 2 participants. If you want to join us by train or plane, we can pick you up in a minibus in Grenoble, Marseille or elsewhere. To know more about it, consult our columns " our motorcycles " and " our rides ".